Eignet sich auch prima als Geschenk für die werdende Mama auf der Baby-Party! 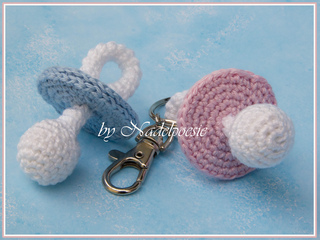 You can use the comforter as a keyring or you can put it on the diaper bag or on the children’s backback. It’s also a nice gift for the pregnant mom on the baby-party. The english pattern includes an US and a GB version.